Within enterprise IT pendulum swings are the norm. Stay in the business long enough and you will see concepts that were presumably out of fashion make a comeback, though possibly under a different name. This has certainly been the case in recent years as public cloud adoption has exploded within the enterprise. As more enterprises test the public cloud waters though, they are finding that not every application is necessarily a good fit or Amazon Web Services (AWS) or Microsoft Azure. There may be a monolithic application that would see no benefit from running on the public cloud and is not likely to be refactored soon. There may be specific applications performance requirements that are just too great to overcome when running from a public cloud and combating the latency presented with not being on premises. Or perhaps due to the infamous problem of data gravity you have large datasets that are going to remain in your datacenter. 2019: Year of the Hybrid Cloud? As enterprises confront these and other challenges there is an increasing interest in leveraging both public and private clouds based on the application needs. As a result many have adopted a hybrid cloud computing model whereby both public and private clouds are used to service applications according to their needs. Data and workflows can cross the boundaries from one cloud to another based on the use case and application demands. As hybrid cloud is gaining popularity within the enterprise we have seen announcements from vendors that acknowledge and respond to this trend. Products such as Microsoft’s Azure Stack and AWS’ outpost are clear indications from the major cloud providers that hybrid cloud is a reality and that it is taking over the enterprise. For some customers, there is still a need for a private cloud as part of the their hybrid cloud, but not necessarily the means or desire to maintain their own datacenter and infrastructure. For these cases we have seen a number of managed private cloud offerings spring up, all with varying levels of control over the underlying infrastructure. Customers seeking a high level of control over the underlying hardware have been well served for a number of years by Packet. Packet allows customers to manage their services and infrastructure all the way down to the bare metal via not only a management UI, but also APIs. It is quite unique in granting the ability for customers to build a private cloud exactly to their specifications. Recently Packet has announced a new service named Packet Connect. The service will allow customers to provision direct network connections to Microsoft Azure via the same APIs and dashboard that give control over their bare metal infrastructure. Support for other clouds such as AWS and Google Cloud Platform (GCP) is planned in future releases. The service is designed to enable customers to build a truly hybrid cloud by combining the private cloud building capabilities of Packet with the public cloud. Combined with the ease of use that Packet provides by making Packet Connect an API level service comes the flexibility of multiple pricing options. Customers can choose anywhere from 100Mbps to 10Gbps of bandwidth and have the choice of playing monthly our hourly. The flexibility of hourly pricing is further enhanced by the fact that Packet does not charge any sort of dedicated port fee. Customers can create and remove connections between clouds at will, thus bringing the level of automation needed for modern cloud native applications and architectures. 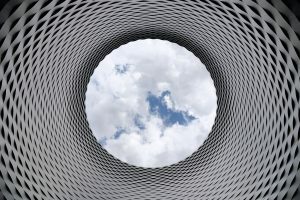 As public cloud adoption grows in the enterprise the realization begins to dawn that there is not a single best choice to be made about where applications should run and what capabilities a cloud should have. The decision can vary based on a number of factors and while public cloud is by and large a safe choice for most applications, there will always be cases where a private cloud is best. In these situations the capability to extend a private cloud to the organization’s respective public cloud is essential in creating a true hybrid cloud. We will likely see more products like Packet Connect enable the reality of hybrid cloud in the enterprise.